If I had to describe "Sambo Steve" (born: Steve Koepfer) in one word, it would be "ubiquitous". Why? Because when it comes to MMA in New York, the dude is everywhere. Want to learn sambo? 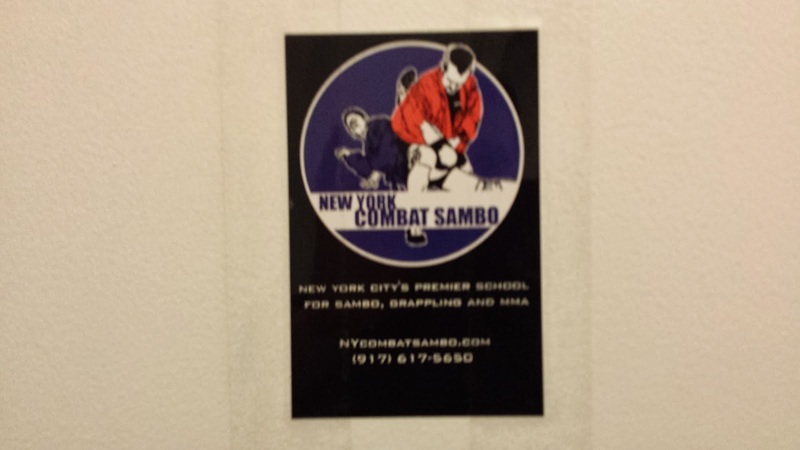 Go to his New York Combat Sambo school in Midtown Manhattan. Want to fight on a local show? He'll hook you up and manage you. Want to put together an event, hire a fight judge, organize a refereeing seminar, make a movie or help with the movement to get MMA sanctioned here? Steve's your guy, the Leonardo Da Vinci of combat sports, the Renaissance Man of all things fighting. The U.S. Army Special Forces uses a computer program that crunches the social media of terrorist cells and determines which individuals are the focal point of that particular group of bad guys; if that program was fed the info of those in the New York combative sports scene, Steve would be point where all lines intersect. Since it's Thursday - Day Three of my "7 Days in NYC" whirlwind tour - I hop on the subway into the city to pay him a visit. I have no clue when I first met him. Steve was always just there. He was the only American teaching sambo in the Five Boroughs, one of the people behind the old Battle of Brooklyn multi-discipline shows at Gleason's Gym in Brooklyn, a cornerman at Brian Cimins' Sportfighting shows in New Jersey, and the organizer of those "legalize MMA" rallies a couple years back. When Kaream Ellington had a fight coming up against PRIDE veteran Kenichi Yamamoto in Atlantic City back in 2006, I told Kaream he should train leglock counters with Sambo Steve (he did; they worked; he won). Once I hitched a ride with Steve down to Philadelphia and shadowed his fighter Anthony Pipola for a day. In some way, shape or form, Steve's been connected to every aspect of the sport I've been writing about for the 13 years. Picking out where in my timeline he made his entrance... well, sorry, can't do it. When I arrive at Steve's school, he's rapping with Tyga Maclin, New York Combat Sambo's wrestling coach. 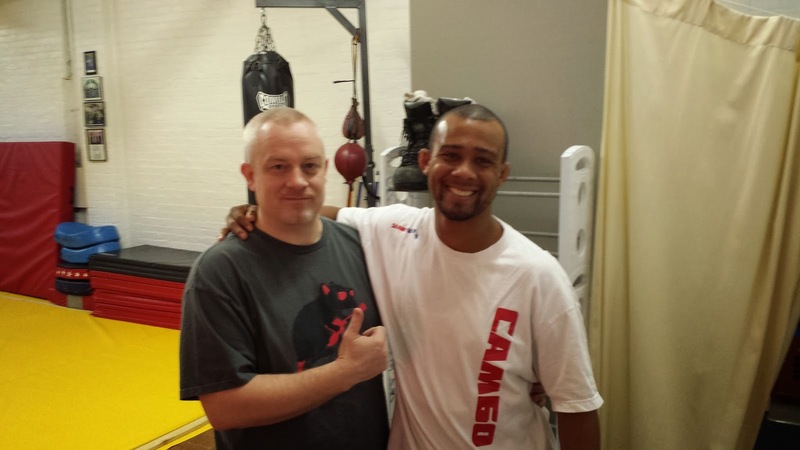 Tomorrow, team member Brad Desir will be fighting at the XFE show in Philly, so they're talking shop about that. Then Tyga heads on out, and it's just Steve and I, chatting on the mat. Since so much of the grappling training done throughout the Five Boroughs is of the Brazilian Jiu-Jitsu variety, I ask what it's been like being one of the few treading different waters. "It's not easy. There's a lot of misconceptions about sambo, of course. It's always a little more difficult to be the minority guy. But I think in the end grappling is grappling. If you go to a grappling competition, I don't look at it more like a sambo thing or a jiu-jitsu thing." Being different does have it's advantages, though. At New York Combat Sambo's open mat days, grapplers from all the various schools converge to train. It's not uncommon to see pro fighters from the Tiger Schulmann camp there, or jiu-jitsu studs from Renzo's. How did that kind of open atmosphere come about? "It's kind of interesting, and it kind of goes back to being the sambo guy in a sea of jiu-jitsu people. There's something that happens here because we're not a jiu-jitsu school. Anybody in New York City, and probably anybody in the BJJ community knows there are rivalries. 'Oh, you can't train at that gym and you can't train at that," - this whole sort of old-school view about impediments impeding cross-training. But being a non-BJJ school, I think there's a certain thing that happens here where people don't feel like they're crossing a boundary by training with some competing BJJ camp. This is sort of like the demilitarized zone. People can come here, and we've got people from Alliance, from Brooklyn BJJ, and Renzo's and Marcelo [Garcia's], and it's just great. People come here and work out, and it's an extremely friendly environment conducive to experimentation and training and sparring. It's a really cool thing we've got going." "I think it's great... The fact that there isn't regulation I think really puts the onus on any coach who's going to put their fighter on a card to make sure their fighters are safe. You have a wide spectrum of quality control when it comes to amateur MMA in New York, and the same goes for Muay Thai as well." "I've been to shows sanctioned by pretty much every third party that's working in this state, and I've seen some pretty horrendous things happening from supposedly well-trained officials and stuff. Just my own guy, he fought in a show here in the city, and in the middle of Round 2 he steps on a water bottle that's was lying in the cage. There's just lots of examples of poor quality, ranging from lack of medical staff or poorly-equipped medical staff, or officials that don't know what they're doing, untrained judges, judges from the camps of the people that are fighting, no doctor ringside - everything. From soup to nuts, you can find a problem there. Even in the best sanctioned shows there have been some problems." We talk of the projects he's working on, like the judging seminar on Saturday and the potential TV show starring UFC fighter Al Iaquinta. We talk of his proudest moment as a coach, and where he wants to be in 20 years. And then we're done. Fifteen minutes later we're at a pub down the street, laughing about karate legend Kevin Masterson, journalists who've lost their mind, and the foibles of particular fighters. Saturday's judging seminar will be held at his school, and I plan on being there. Which just goes to show that in a typical seven-day span of daily MMA-related activities in New York City, of course I'd run into Sambo Steve at least twice. It would be impossible not to.